Fall clean up sets the stage for your commercial property’s landscaping to make a triumphant return in the spring. Landscape maintenance now will pay for itself in the long run. The clean-up effort will help protect plants, mitigate winter damage (including potential flooding) and reduce weed pressure in spring. Being proactive about maintaining your commercial property prevents further damage, saving companies time and money throughout the year. Leaf removal gives a property a polished appearance and your landscape contractor should be doing spot clean up of leaves on a regular basis to avoid a major pileup. The first leaves can begin dropping as soon as September and the major “leaf rush” will depend on temperatures this fall and when the first frost occurs. Some trees, like oaks, will hold leaves all winter and drop the remainder of their leaves in the spring. Then, a final leaf clean up should include mowing over the property to catch the last leaves and debris. You do not want leaves sitting on your lawn during winter because they suffocate the turf, and will result in dead spots in those areas come spring. Fall is a good time to apply granular preemergent fertilizers to prevent weed seed germination in late fall that can result in weeds come spring. Then, another application of the pre-emergent product in spring will give your lawn the best preventive protection against weeds. September and October are also good months to over-seed the lawn to result in thicker turf during the spring thaw. Another December application can help strengthen the root system. Soil compacts over time. It compacts from use (think walking or playing sports or even from being driven over) as well as other natural causes like erosion. Core aeration helps to revive turf by removing small plugs of soil and roots, which in turn loosens the soil allowing for air, nutrients, and water to reach turf roots. Aeration reduces surface runoff and gives fertilizers direct access to turf roots. This makes all of those fertilizer applications more effective. Getting a haircut is kind of an essential thing to keeping yourself look professional and “good”. It’s the same for your perennials. They need a haircut every fall so they can grow back lush and green in the spring and summer next year. If the dead material is left there, the plant might not grow back as healthy or beautiful. There are many different kinds of perennials but a short list includes daylilies, hostas, astilbes, ligularia, and ornamental grasses. It’s really easy to chop down a couple of these perennials but for commercial properties there are can be an overwhelming number of them. So let a professional company that you can trust do the work for you. 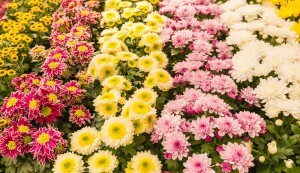 Although not so vast as summer annuals, there are still many choices to enhance your fall landscape through the colder months to comes. Mums and fall pansies are popular choices. Fall also means it is time for spring bulbs. Bulbs need to be planted in the next few months, before the ground freezes. That way, once winter passes, your property will come to life in bursts of colors and flowers. 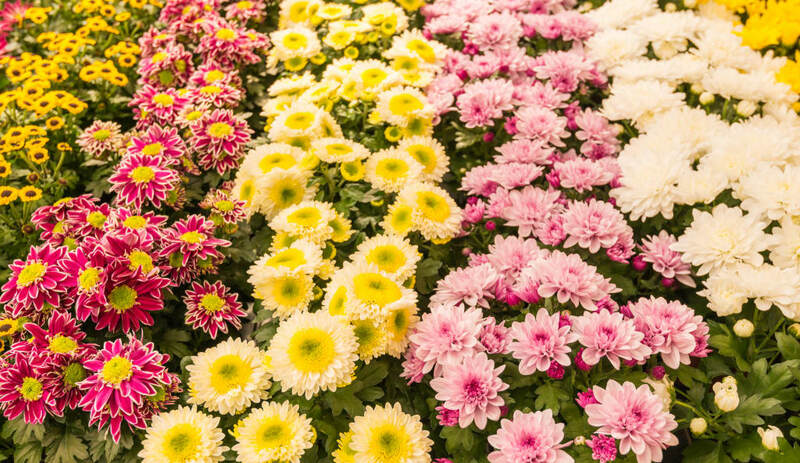 Mums and pansies can be planted right over your spring bulbs, providing fall colors. This way, you can plant for two seasons at once. During the fall, the mulch beds should be renewed. The fall cleanup tasks should be done to remove any old mulch so a fresh bed can protect the trees during the winter. Some tree and shrub species will need to be pruned back during the fall cleanup while some should wait for another season. On a commercial property, there are going to be specific requirements that may include how high the trees are allowed to grow, how wide, and how low. There may be signage or an architectural structure that needs to be taken into consideration. 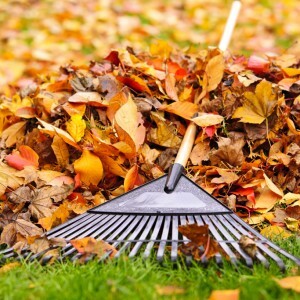 Cleaning up your property in fall will protect your landscape during harsh winter weather. It protects your investment and you will need less maintenance in the spring. To get your property looking great while preparing for the long winter ahead. Contact Twin Oaks today for an estimate.